Chop your onion and slice your bacon. If you’re wondering which bacon I use, I get that uncured Applewood Smoked stuff from Trader Joe’s. It’s thick and delicious. Sometimes it helps if you semi-freeze your bacon before you slice it into smaller pieces, but sometimes I forget it when I do this. Out of sight, out of mind, right? 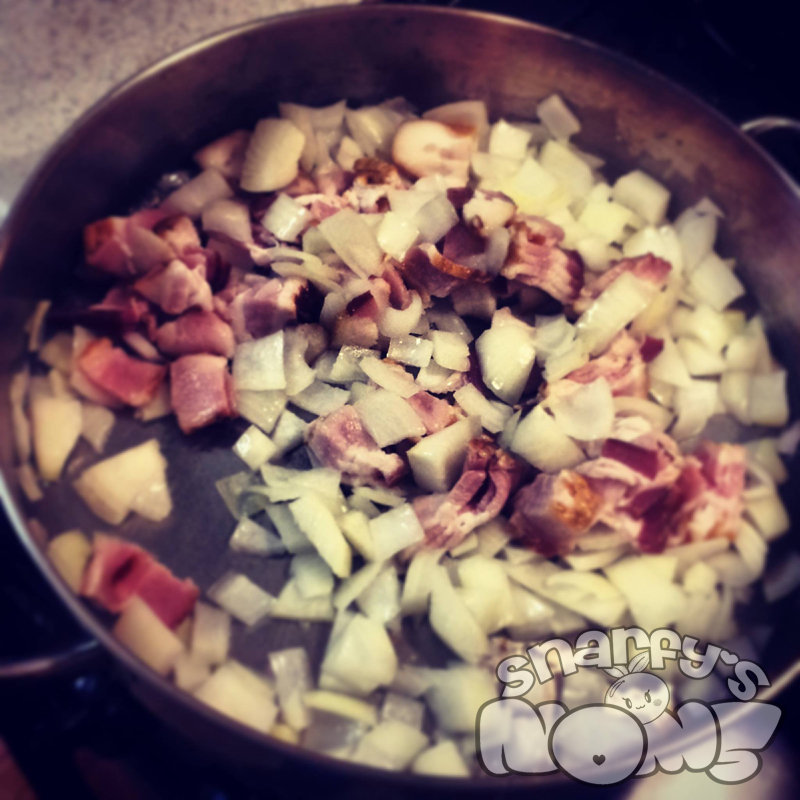 Heat some oil in a large pan and toss in the onions and bacon. 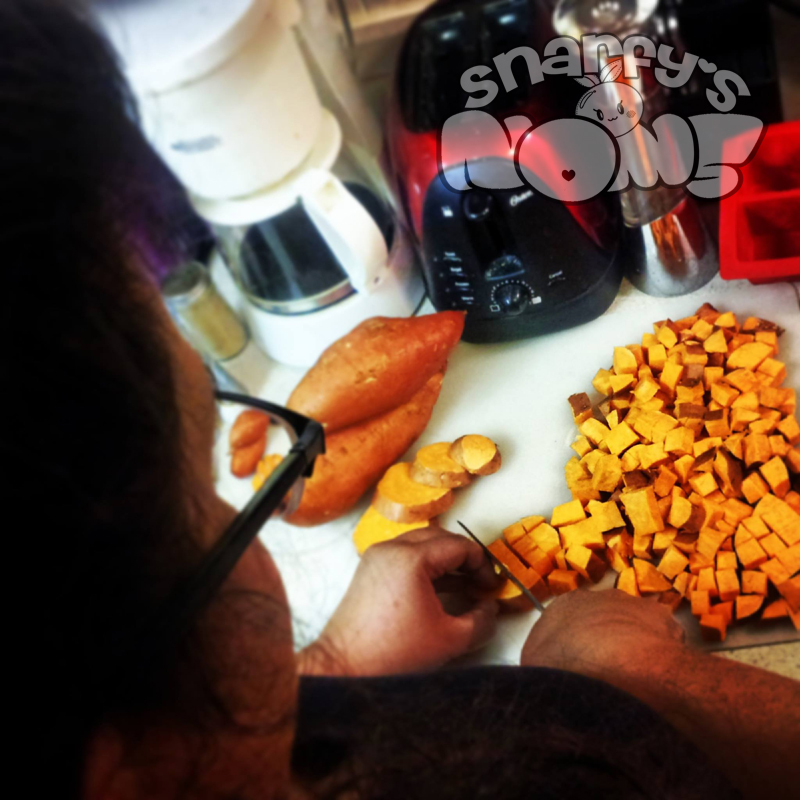 While this is cooking, cut the sweet potatoes into 1/2″ cubes (or about that size). 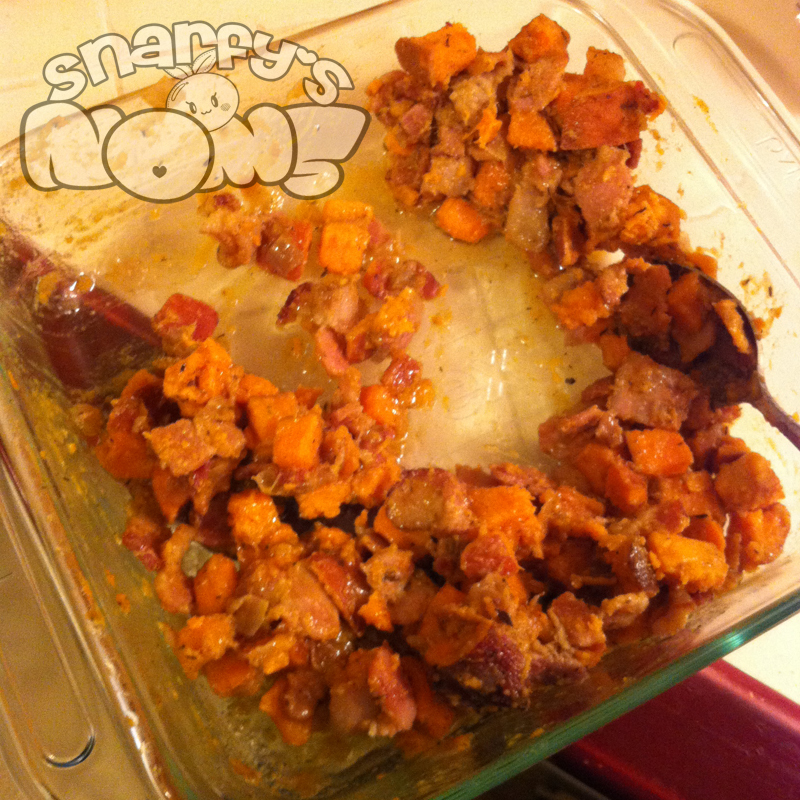 When the bacon is mostly cooked, toss in those sweet potatoes and a some thyme leaves. Give it all a shake, and throw in some salt and pepper to taste. Don’t forget to throw in a little of that nutmeg and cinnamon. Turn the heat down and cover the pan, stirring that mixture every so often. 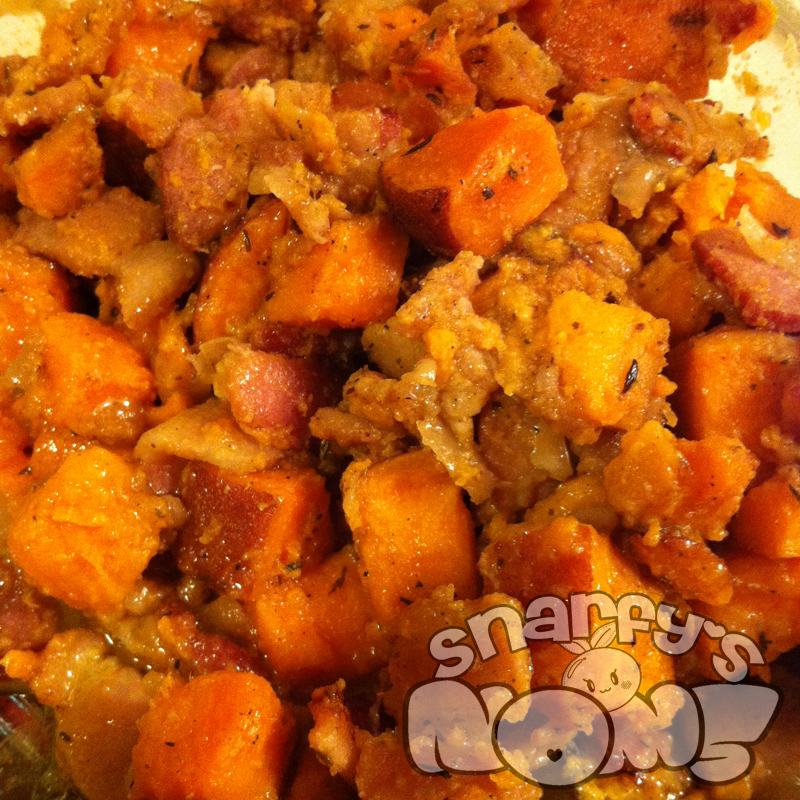 Once the potatoes are done, dish up and eat!